Clarisse 3432 is a simply elegant long evening gown that has a different look in each of its three fabulous colors! Be fresh and spring-y in pastel Mint at prom, shine in Wine at a military ball, or glow in Ivory at a black tie gala. 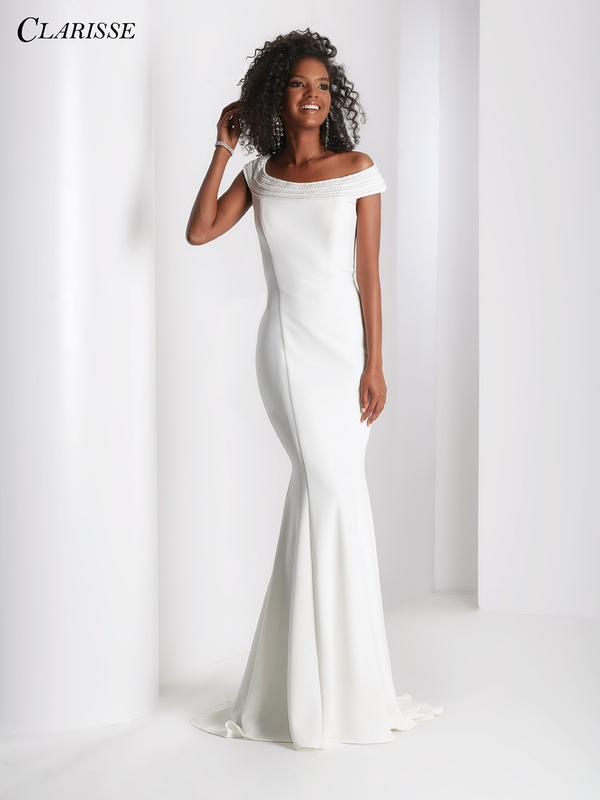 This gorgeous gown has a beaded yoke that forms a chic cap sleeve above the fitted, flattering princess seam silhouette. The show stopping back has two sets of criss-crossing beaded straps. Center back zip and hook and eye closure, available in sizes 00 through 12.